During the Unpack event where they unveiled the new Note 9, Samsung noted that the phablet will be the first mobile device in the world that offers an impressive 1TB of storage space as it uses an ingenious combination of built-in and expandable memory slots. 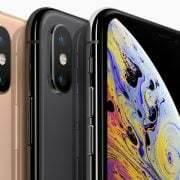 Users that opt for the top tier model will enjoy 512GB of internal storage space while they can also use microSD cards with a capacity of up to 512GB. 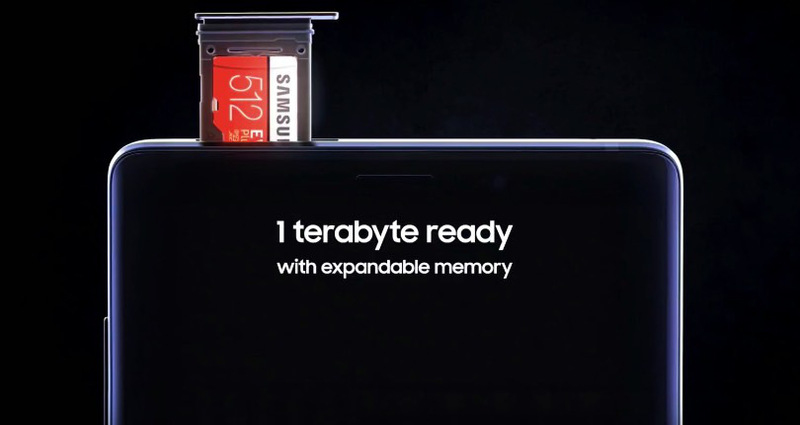 A 512GB EVO+ card was also announced by Samsung at the same event but it failed to materialize until now. It is important to mention that Samsung didn’t attach an official date to the card, so the late debut shouldn’t come as a huge surprise. This is far from being the first card of this size that Samsung released but it remained elusive until now. A German blog that specializes in all things Samsung spotted a listing of the card on the German version of the official Samsung website. 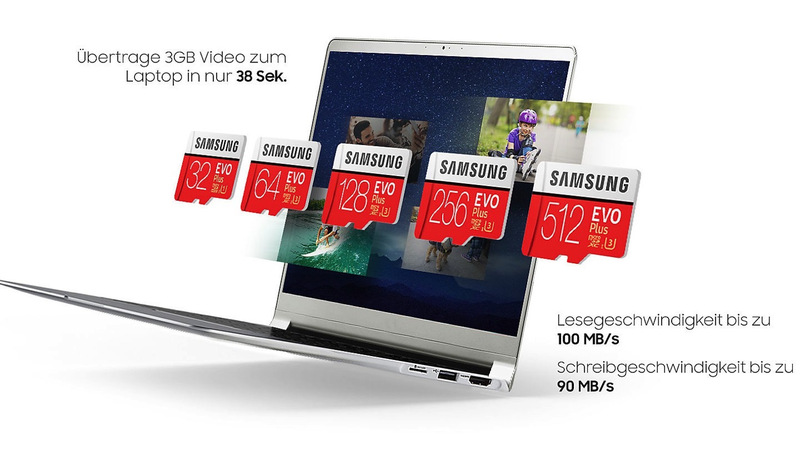 The price is quite steep as Samsung asks for €289.90 or $330 but if you want that much memory you can certainly afford it. You could buy a cheaper one from SanDisk, or even two as they currently have a promotion for the 400GB version. For €99.90 ($113) you can buy the 256GB version, which is more affordable while also having the memory space. While the prices are listed, the card is not on sale as you can only opt to get a notification when the card is released. It is also interesting that the American version of the page only lists the 256GB version. Performance is on par with EVO+ cards as the card offers a 100MB/s read speed and up to 90MB/s when it comes to writing. You can also record and play content at an impressive 4K UHD quality without any sacrifices when it comes to quality. The 512GB version can store up to 24 hours of 4K UHD video, 78 hours of Full HD content or 150,300 photos. In order to keep the content safe, Samsung made the card waterproof, temperature-proof, magnetic-proof and even X-ray-proof so your memories will be safe at all times. Samsung is working hard as the world is anticipating the release of the Samsung Galaxy 10, the next flagship in the Galaxy series. In an age where most manufacturers seem to drop features Samsung is holding on to the things that users know and love. The official Samsung Mobile US Twitter account has recently taken a jab at Google as it mocked the iconic notch that seems to be present on all the smartphones released in 2018, noting that ‘’ You could land a plane on it’’. The notch that Samsung targeted is present on the Google Pixel 3 XL, and the tweet was sent as a response to a question posed by the ‘’Made by Google’’ account which marketed the new Pixel model. The mock clearly hints that Samsung will not follow the trend as it wishes to distance itself from the competition. In another tweet, the Samsung Mobile account gleefully argued that the Note 9 offers more RAM, larger built-in memory and support for microSD cards while the Pixel never had a microSD slot since the first iteration appeared. It seems that Samsung is giving Apple a break and has shifted its sights on Google for now, with more targets to come in the future. 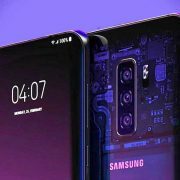 It is likely that the Galaxy S10 will also offer support for the new microSD card as Samsung is keen to outshine its rivals in every aspect. 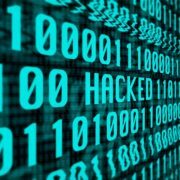 It remains to be seen when the card will be available worldwide but global compatibility with virtually any device that supports such a large size is sure to make it a hit among users.